Guided by the unmistakeable touch of Jeff Lau, Corey Yuen and David Lai's 1991 movie Saviour Of The Soul provides an excellent Litmus test for viewers wanting to test the waters of early 90's Hong Kong cinema. Veering from juvenile comedy to tragic melodrama to blisteringly ambitious action set pieces, all wrapped up in photography and art design which would shame films with ten times the budget of this one. Saviour Of The Soul's plot (attributed to Wong Kar Wai) lifts it's framework from traditional Wu Xia stories, placing it's characters in an alternate science fiction/comic book version of Hong Kong. A place where suffocating bullets and homing daggers are weapons of choice and where a hand grenade detonating at point blank range results in little more damage than cartoon style black face. 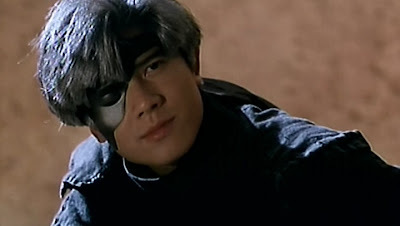 City Soldier May (Anita Mui), responsible for blinding and incarcerating a notorious criminal (Corey Yuen) is targeted for revenge by his pupil Silver Fox (Aaron Kwok). 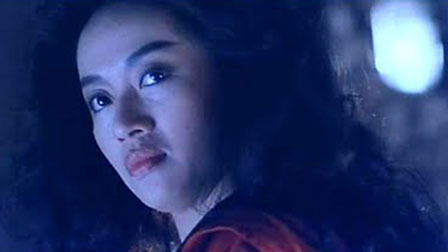 May's City Soldier colleagues and suitors Ching (Andy Lau) and Siu Chuen (Kenny Bee) get caught in the crossfire of the deadly assassin's quest for vengeance, resulting in May going into hiding to protect her beloved. As Ching searches desperately for May, Silver Fox prepares to strike again. Beginning with a stunning prison break as Silver Fox tears his way through an army of guards, you could be forgiven for thinking this could be one of the greatest action films ever made. That was certainly my reaction on seeing this sequence back in the early 90's, and if it doesn't quite deliver on that promise, it's certainly one of the most ambitious films of it's era. 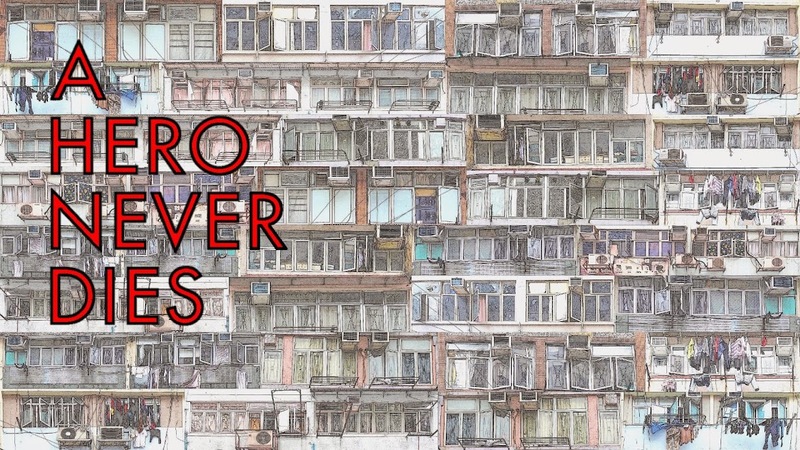 I'd love to see a contemporary Hong Kong film with even a fraction of the imagination and ambition showcased here, alas that prospect seems ever further away. Critics of the movie would no doubt argue it is in fact too ambitious and that the action sequences are poorly realised as a result, this would be overly harsh in my opinion, the verve and invention on display makes up for the occasionally weak special effects. In addition the action scenes work wonders in enhancing the film's otherworldly feel, a feeling grounded by the amazing production design and Peter Pau's stunning cinematography. Andy Lau's Ching is mildly irritating for much of the movie, he plays pretty much his stock persona from this period of his career, while showing occasional flashes of the charisma powered superstar actor he would become in the late 90's. Anita Mui plays two roles, May and her sister who is the film's comic relief, the sister maybe annoying but Mui plays both roles effortlessly well. The film's two best roles are undoubtedly Kwok's Silver Fox and Carina Lau's Madam of Pets, the movie is set alight when either is on screen. Saviour Of The Soul has many flaws, the comedy is mostly unfunny, much of it makes no sense and there is little in the way of explanation of who anyone is or why they do what they do. As such it certainly won't be to everyone's taste but as I said earlier it's as good a test as any for HK cinema newbies. If you can get used to the dramatic shifts in tone, the juvenile humour and marvel at the impossible action choreography, there is a whole world of wonders to explore. For a seasoned HK veteran, I found the movie holds up very well, it may not hang together as a great film but it's great fun and the ambition of it's blistering action sequences make it easy to overlook it's problems. It also works as a real blast of nostalgia for those golden days of the early 90's, and sometimes that's all I need. Long out of print on dvd, Saviour Of The Soul is screaming out for a remaster, one that does justice to the richness of the photography and art design. Having seen the film theatrically, I'm sure the movie would pick up many new fans if it was given a release somewhere approaching the theatrical experience. Viewed via Netflix instant, the print looks like the HK dvd release. Dang! I need to see this one! 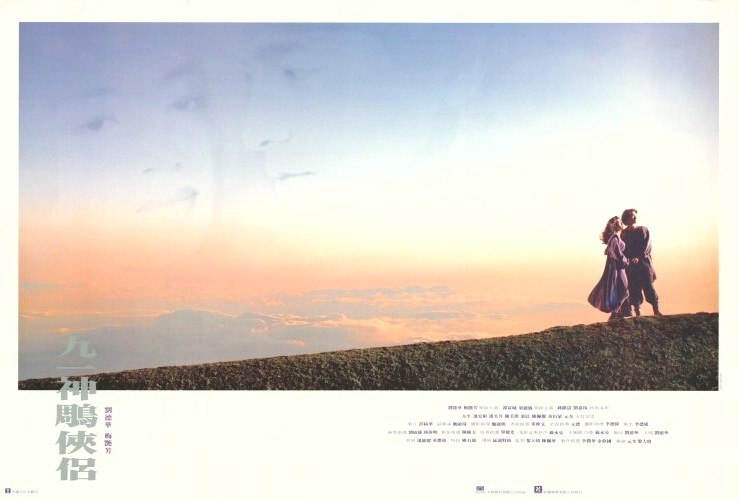 I have to admit that the first time that I viewed "Saviour of the Soul" (as part of a double bill with "Butterfly and Sword" -- which I already had seen previously -- at a Baltimore theater! ), I found it a bit too weird to appreciate. Some years and many Hong Kong movies viewed later, I checked it out again -- and this time was more able to enjoy it. YTSL, Can't disagree really with anything you say, and I know what you mean about The Heroic Trio but I kind of like the idea of pairing it with Butterfly and Sword too.